Tuesday Thoughts #6 - Wedding planning, Melbourne trip and losing weight! I hope the last few weeks have not been as stressful as mine have been! I'm a graduated lady now (kinda...). I officially graduate on the 9th of December, but really I'm all done now. I finished my last exam on the 2nd of November, but I already passed the subject so I wasn't stressed at all for it - thank goodness! I'm so keen to be graduated and entering the world with two Bachelor degrees! Um... I'm getting married! I've been engaged for a while now (two whole years actually... woops! ), so we finally decided that we should probably just do it and getting hitched. Since university finished for me I've been in wedding planning OVERDRIVE. Not even kidding... I've been pinteresting so many wedding ideas and everything. We've locked in our date, venue and photographer so we are well on the way to being happily married. Further details of our nuptials will probably seep their way onto my Insty or Facebook page. As you are reading this, I'm probably leaving Melbourne. As a little present to myself for getting my way through five years of university, I thought I would treat myself to a mini getaway to Melbourne. I left on the 20th of November and I will be returning today as this post goes live with my belly full of delicious food and happy. Speaking of food and the wedding, I am on a mission to better myself. I have been heading to gym for the last 3 weeks at least 6 times. I can already notice the changes in my body and I cannot wait until I am at the peak of my fitness. Additionally, my diet is a million times better. Daniel and I are trying to go towards a more plant based diet as we both find we feel better and less sluggish when we do. Also no Coke - still. I think my body is actually loving me right now. Things are tightening up and looking crazy better. Happy with my progress! 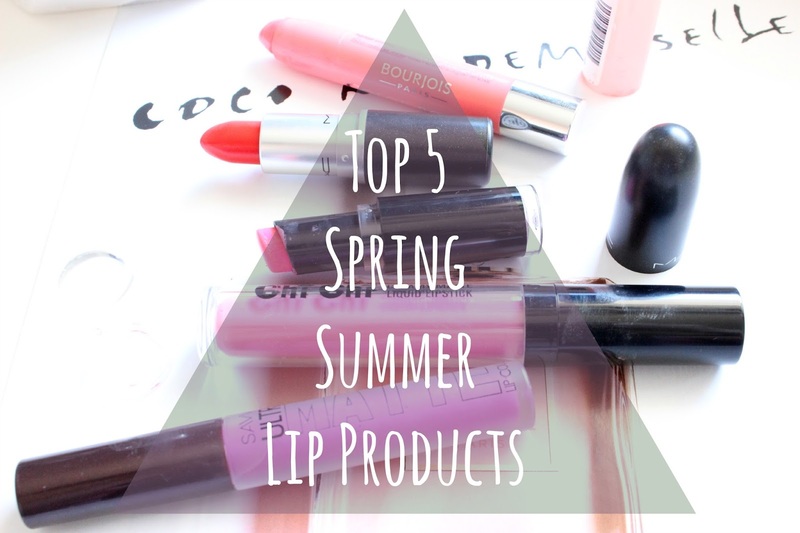 The hotter months are coming and with that comes the influx of brighter and fresher lip colours. I am a total sucker for a beautiful bright lip and I couldn't resist showing you guys my top 5 lip product picks for the Summer months! If you want to see my picks, just keep reading! As you all (should) know by now, Sephora Australia officially has a website where those of us less fortunate and don't live near to an actual store can purchase from! Hoorah! 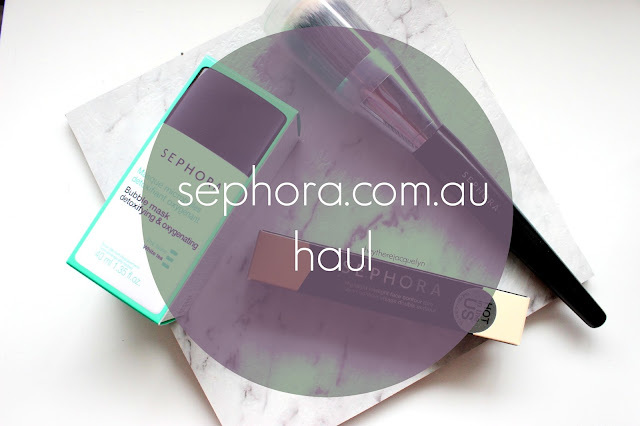 Basically, the website was previously known as Luxola.com, but is now known as sephora.com.au (click here!!!). I was lucky enough to be contacted by their marketing team and given the opportunity to try out three of Sephora own branded line! I decided this would be a perfect opportunity to try a piece from their skincare range, their makeup line and brush collection! If you are interested in learning more about the products and my thoughts, keep on reading! 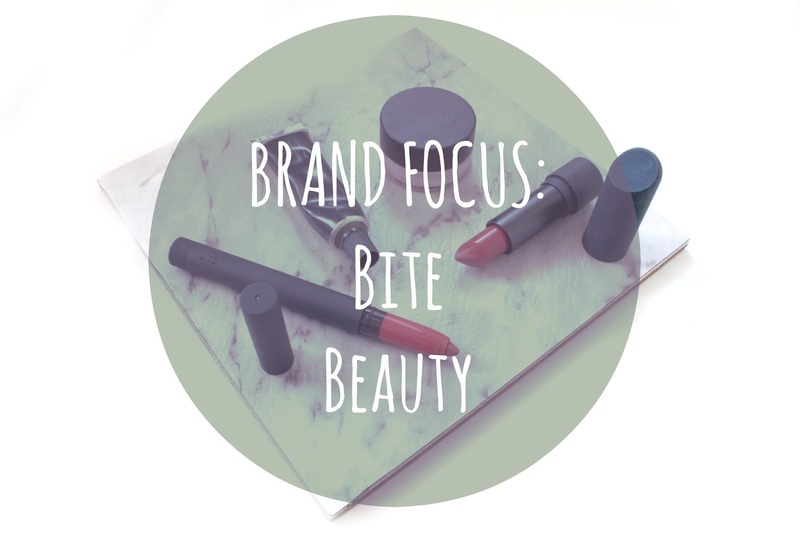 I haven't really delved too deep into the Bite Beauty world, but I know that their products are highly raved about throughout the beauty blogging world. Bite Beauty is a really innovative brand with all the lip products created so you could technically eat them. Yes... you heard correct, eat them. They are made with food-grade ingredients, so if you were really hungry on a deserted island... you could actually nom a lipstick. If you want to hear more about the products I own from Bite Beauty and my thoughts, keep reading!